A shear pin is meant to break off to prevent damage to your auger shaft and gear case. Therefore, it is important to know how to replace one. When something other than snow gets in its blades, a snow blower has a fail-safe mechanism that protects the drive shaft and the motor from unnecessary torque. That mechanism is the shear pin or shear bolt. This article will explain how to replace your shear pin. 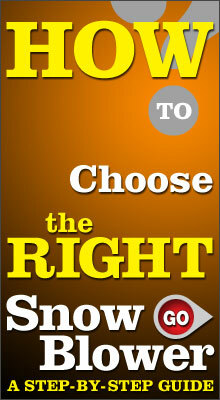 Refer to your snow blower user's manual to get the correct-size shear pin. You can order a supply of shear pins now. Ensure the snow blower is off. Pull the wire off the spark plug so you’ll know the snow blower can’t start while you have your hands inside the blade mechanism. 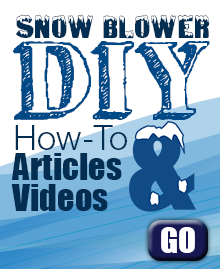 Use the clean out tool that came with your snow blower to remove anything jammed in the auger. If you do not have a clean out tool, a broom handle will work for that task. Never remove debris by hand because there is the possibility that removing the jam will cause the auger to spring forward, damaging anything it comes in contact with next. Potentially your hands if they are in there. Once the auger is moving freely, turn the auger by hand until you see the spot where the shear pin goes. It's going to be where the two parts of the drive shaft come together. If you still don't see the shear pin, check your user's manual for its location. Remove any remaining fragments of shear pin. It should come out easily. Sometimes they fall out completely when they break. In rare cases, you may need to take a punch and a hammer and gently tap the shear pin out of the hole. Align the drive shaft holes until you can slide the replacement shear pin into the hole. On most machines there is only one way the pin goes into the hole. Tighten the nut onto the threaded end of the shear pin. Rotate the auger manually to make sure the blades are operating properly. If not, inspect the secondary shear pins to make sure one of them isn't the problem. They made need replacing also. Reconnect the spark plug. Turn the snow blower on and make sure it's working properly.